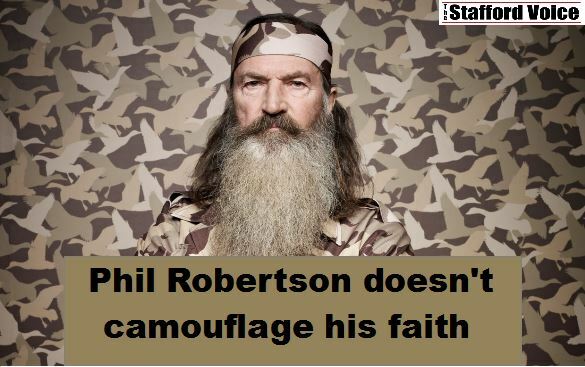 Why did A&E sign Duck Dynasty? It’s what people wanted to see? Did they not know what they were getting themselves into? The Robertson Family doesn’t need A&E like A&E needs them. They were successful before this show and will be long afterward. Why is it wrong for Phil to express his opinions and beliefs, but okay for you? Do you not understand what being a bigot is? What about being a hypocrite? He has just as much a right to say what he believes as you do to parade up and down the streets. Get over it, and get over yourself! Before you pick up the first stone, be sure to know that you are without problems before throwing it. You are awarded for being just plain nasty and twerking on live TV, but put to the gallows for standing firm on your beliefs. You are heroed for being a corrupt politician who says the lie of the century “If you like your health insurance you can keep it,” but be sent to stake for preaching the word of God. Isn’t it time to put down the stones, and pick up the Good book?